Cultivate discernment in the way you practice and in the way you teach. We believe that education is never wasteful, the more you learn, the more you want to learn, the more the world becomes more interesting to you, and discovering it becomes more fun. We believe in fostering a community of learners as a key component to building a stronger yoga community, and with our credentials, people know they have a teacher who is knowledgeable and experienced. The 300-hour yoga teacher training focuses on a deeper understanding of anatomy, physiology and the practical applications of traditional yoga philosophy. During our 300-hour yoga teacher training intensive modules, we educate our teachers to understand the body so that they can understand how to apply the practice to the individual with any style or level, to create a more customized and more meaningful yoga practice. Each intensive training is broken down into modular components as well as some or all of the following: anatomy, physiology, philosophy, sequencing, assisting/adjusting, advanced postures, restorative postures, pranayama, meditation and case studies. This course is customized according to the needs and the availability of the student, there is no starting and culminating module. As an advanced training intensive, it is meant to be done over the course of several years so that you can incorporate and use the information as you go – that way you can maximize your time spent taking the training. We offer both week-long intensives modules as well a modules that span from 1-2 months that takes place in various locations, you are welcome to pick trainings based on the location, date or the curriculum. There is no time restriction to complete the program, so you can take as long as you like. to be taken upon completion of the first three Intensive modules. 2 A minimum of one year consistent practice, including regular 3-6 day per week practice. 1 A minimum of one year consistent practice, including regular 3-6 day per week practice. 2 Should this student later on discover and eventually want to apply for certification and get credits for the module/s taken, he/she must take a 200-hour Yoga Teacher Training Program and a special bridge class under the Apprenticeship program of Align&Refine Yoga. We’d like to get to know you better prior to the training as we work closely with our teachers to guarantee a higher level of proficiency. Please fill out and submit your application online. Once you complete all requirements per module, each module may already be counted as your continuing education for the year. Registered Yoga Teachers will be eligible trainees to register as RYT-500 upon successful completion of all requirements of Yoga Alliance. Align&Refine Yoga is a Registered Yoga School (RYS)® and a Yoga Alliance Continuing Education Provider (YACEP)®. 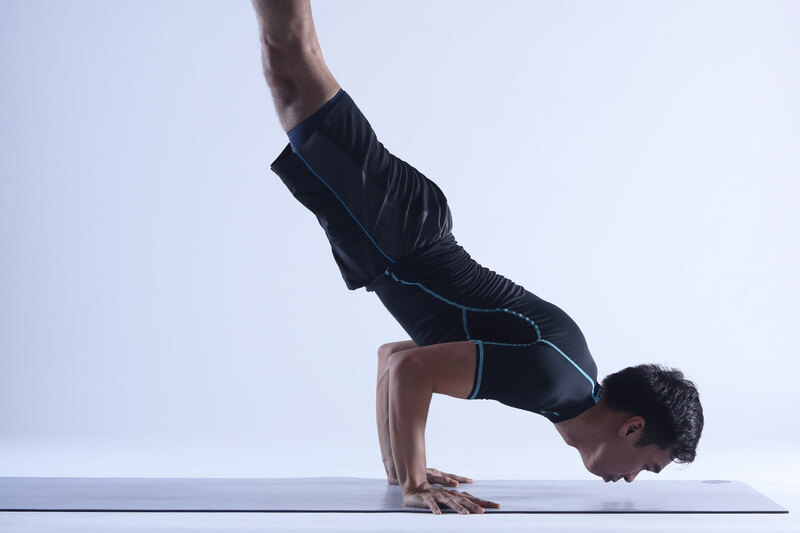 The course heavily focuses on the mechanics and dynamic of Chaturanga Dandasana– exploring the muscles that need to be awakened and how they work together to create a solid foundation. Learn techniques to release muscles that may inhibit your backbending range of motion, and strengthen the muscles that you’ll need to stabilize in order to move into deeper backbends safely. Discover and explore the different muscular efforts needed in all over the body to build a strong foundation for inversions, and learn how to come out of these poses with control and stability. We’d love to hear from you! Contact us by filling up the form here, or reach out through mobile or email.